The University of Arkansas has been selected to host the 2016 Thorpe Cup, a team decathlon and team heptathlon track-and-field competition between the United States and Germany that is held every year. The yearly athletic event is named in honor of 1912 Olympic decathlon champion Jim Thorpe of Oklahoma, U.S.A. The teams are composed of up to seven men and seven women who compete in the decathlon and heptathlon. The decathlon consists of the 100-meter dash, long jump, shot put, high jump, 400-meter dash, 110-meter hurdles, discus, pole vault, javelin and 1500-meter run. The heptathlon consists of the 100-meter hurdles, high jump, shot put, 200-meter dash, long jump, javelin and 800-meter run. Athletes receive a predetermined number of points based on their performances in each of the events in the decathlon and heptathlon. The top five men’s and top three women’s scores are added together to determine the overall men’s and women’s team winners. The U.S. leads in both the overall decathlon series 13-9 and overall hepthalon series 7-3, although Germany has won the last six of the annual decathlon meets. The Thorpe Cup was founded jointly in 1993 by the German Bundestrainer Claus Marek and USA Visa Team Head coach Harry Mara. Its goal was to establish an international competition for aspiring ‘second tier’ athletes. At the event, there would be 7 athletes representing each country with the points scored by each team’s top five athletes constituting the final team scores. In 2006, the heptathlon was added to the competition, with the top 3 athletes from teams of five being able to score points for their teams. At the Thorpe Cup event debut in 1993, which was held in Aachen, Stefan Schmid of Germany won the individual competition while the U.S.A. took the team honors. The 2016 Thorpe Cup competition will be held on July 29 and 30 at the John McDonnell Field in Fayetteville, within the flagship campus of the University of Arkansas System. The UA System is comprised of six main campuses within the state, namely the University of Arkansas at Little Rock, the University of Arkansas at Montecillo, the University of Arkansas at Pine Bluff, the University of Arkansas at Forth Smith and the University of Arkansas for Medical Sciences. 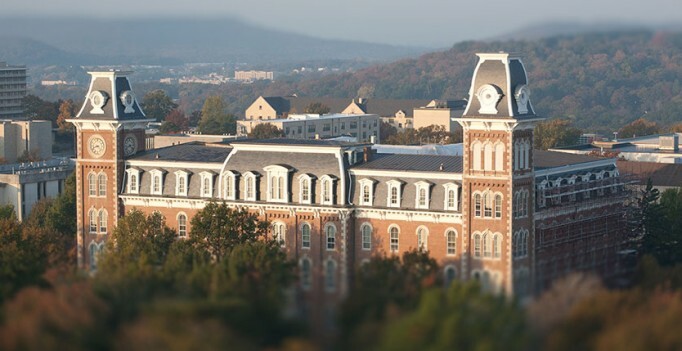 Founded in 1871, the university now offers more than 200 programs of study leading to bachelors, masters, doctoral, and law degrees through its various departments and schools which are based out of the ten primary colleges on the main campus in Fayetteville. The 512-acre campus has 360 academic and non-academic buildings. Division I SEC competitions. The varsity colors are Cardinal and White. The university mascots are Tusk and Big Red.